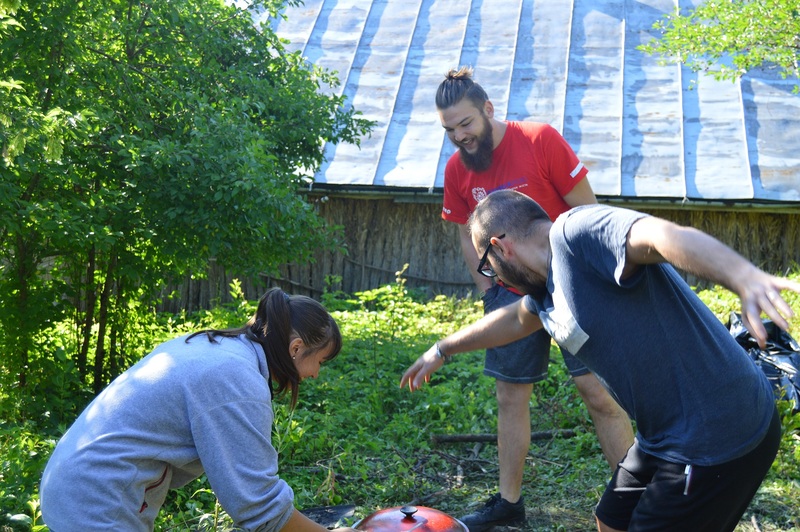 From 8 till 21 July Eco-Center in Stina / Еко-центр у Стіні hosted a work camp Image Mapping 2018. 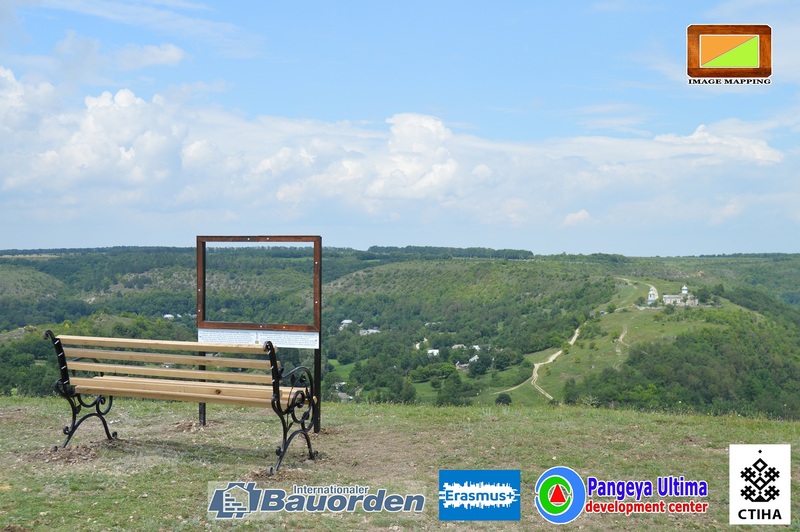 This time the project has walked away from the usual format as the Development center Pangeya Ultima / Центр розвитку Пангея Ультіма is a partner together with the Nashe Podillya / Наше Поділля in the development of the center itself. That is why the working programme was composed partly of the objectives of the Image Mapping while the hefty part of that was dedicated to the infrastructural activities around the territory of the center. 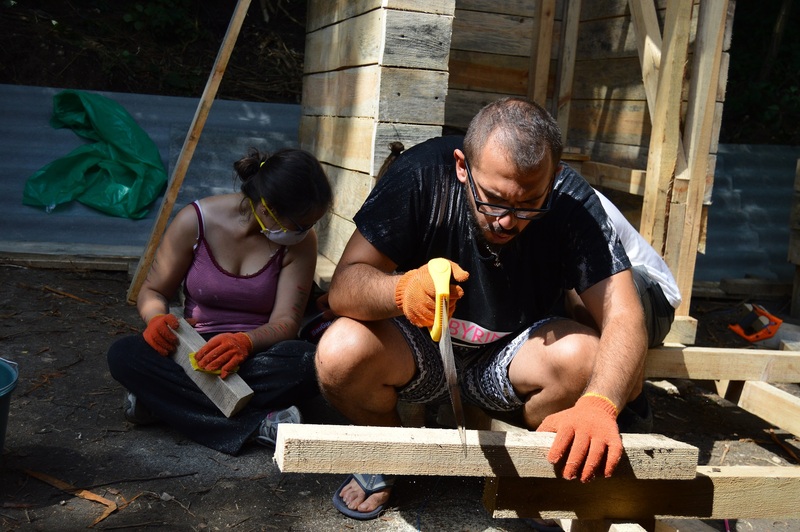 Through this work the volunteers were introduced to the traditional ways of coating the house, construction of the stone stairs and construction of the wooden toilets and showers. 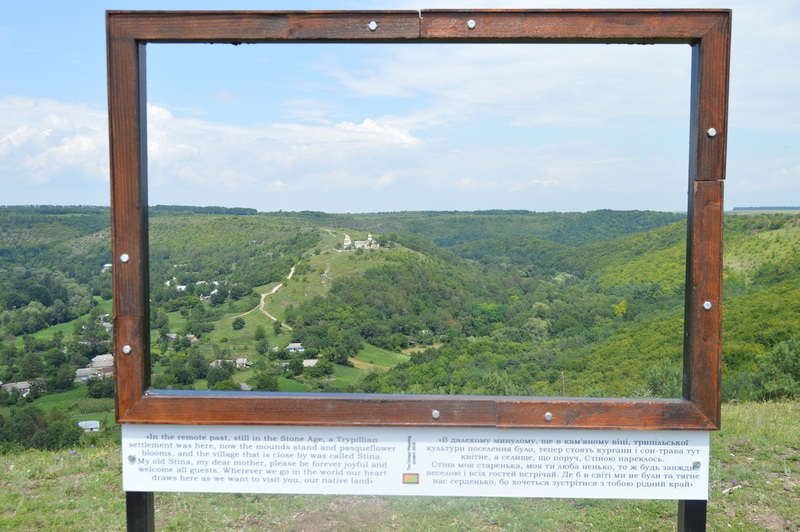 As a tradition the volunteers have as well created the “Alive picture” in Stina that now stands out on the steep canyon slope focusing the visitors onto the Castle Hill. 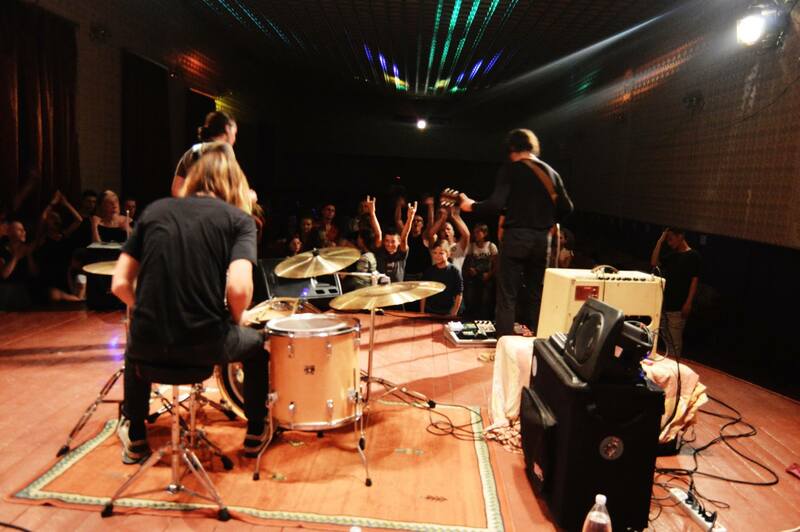 In frames of the Image Mapping aim of revitalizing the social dynamics of the rural communities the camp has hosted the concert of the French garage rock band BROK, international project. 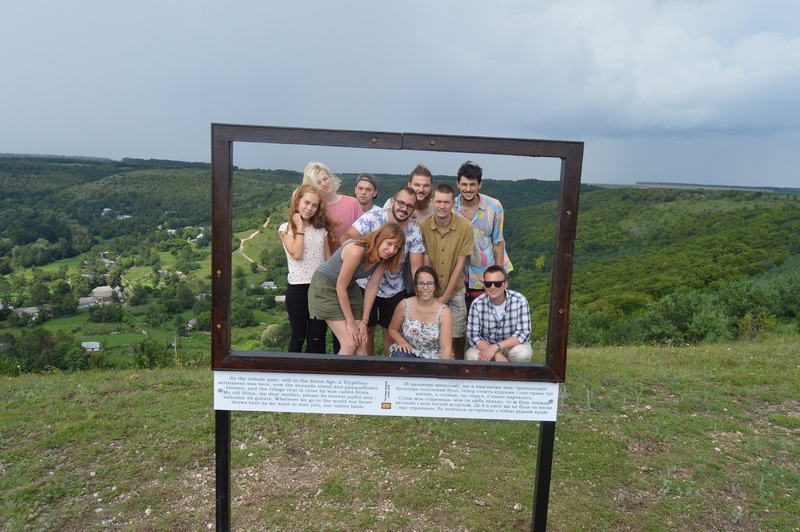 The partners of the “Image Mapping 2018” camp were: Erasmus+ and akzente Salzburg, Initiativen für junge Leute (Austria), Internationaler Bauorden (Germany), Archiclub / Vinnytsia (Vinnytsia). The camp has become the challenge for its participants as it was apparently the first so much intense with physical tasks programme among all of the former camps realized by the DC Pangeya Ultima. 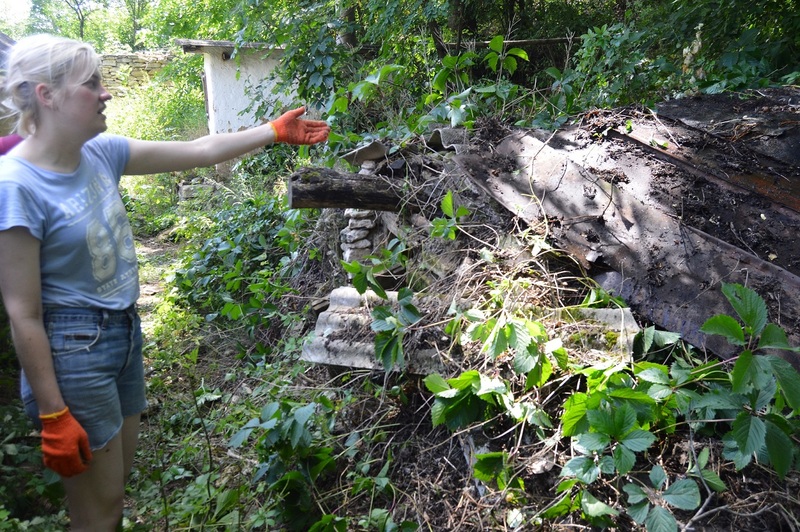 There was so much work around the territory of the Eco-center that some of the objectives had to be dropped and improvised on. But only thanks to the enormous productivity, dedication and extraordinary great internal spirit of the team of the volunteers it became manageable. With great pride we can assert that we have achieved really considerable results. 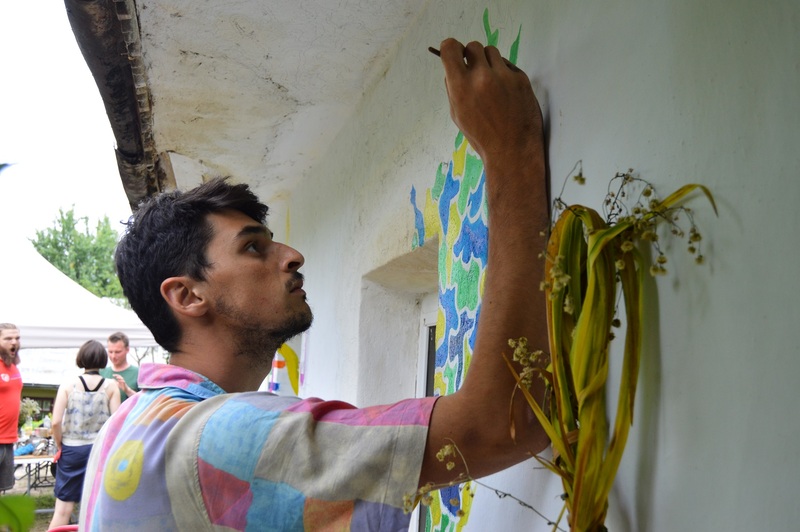 Now the Eco-center in Stina has acquired two summer showers, two eco-toilets, the hut was bleached, supported with concrete and it got painted with love from the participants and the local children. 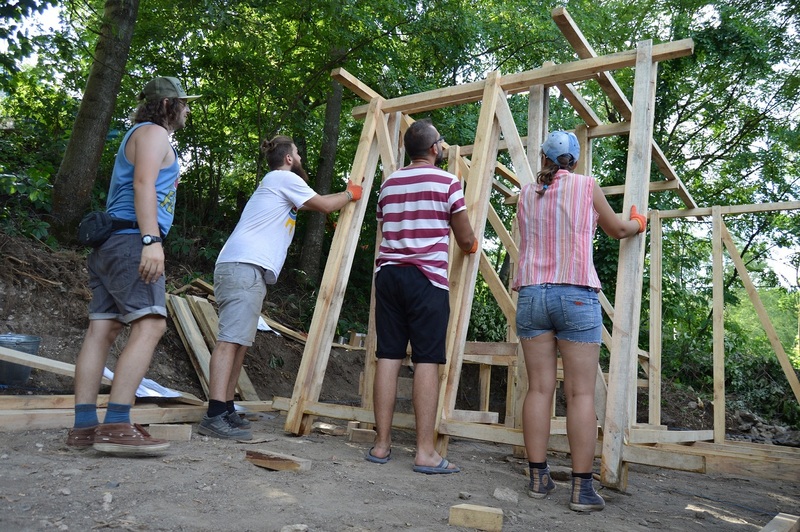 We are grateful to the Archiclub for the planning of the new wooden constructions of the Eco-center, especially to Maksym Kramar who looked like a genius scientist with his 3D-modelled ideas of the building on the territory of the center. All volunteers have acquired intense practical experience, learned own capabilities and proof-checked traits of character that show up in the working process during the living in simple conditions with the same minded people. 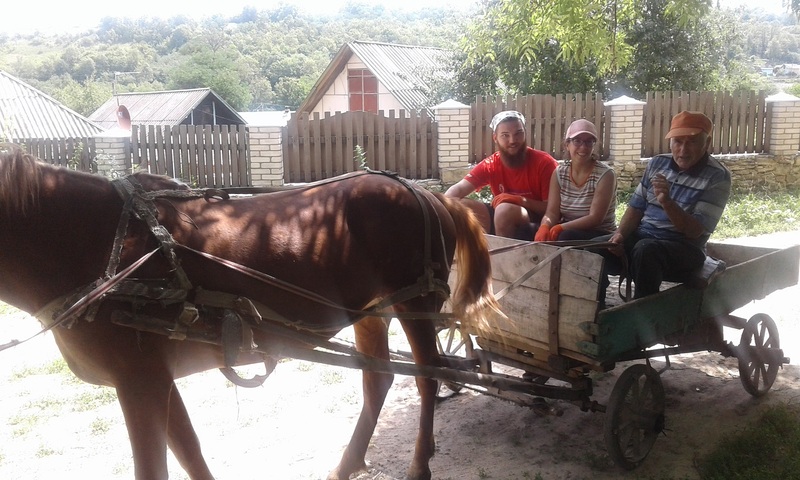 The special moment of the camp was the gig of the French garage rock band “Brok” that came in Stina in frames of their Ukrainian tour with the organization from the ever dedicated former EVS volunteer Noémie Philippe-Dumestier. 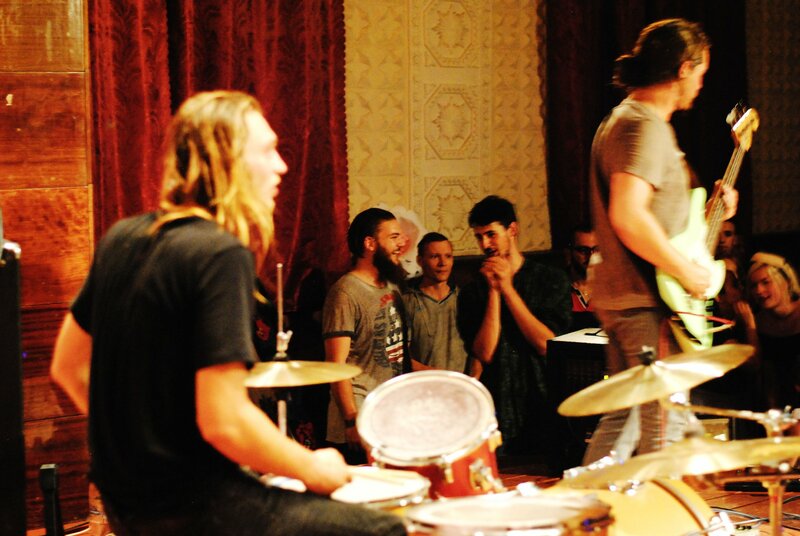 Guys have made the real rock with crazy dances in the local house of culture, together with the performance from the local art ensemble and exchange of positive vibes between all the participants. 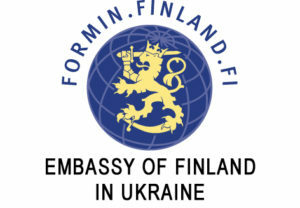 We are sincerely grateful to Noemie and Brok for the night and we wish successful coming gigs in Ukraine. As well there were stars, communication till early morning around the camp-fire, heavy rains, pasta by Italian recipe from the fire, pleasure pf communication with the local people, plums, milk, cats and smiles. 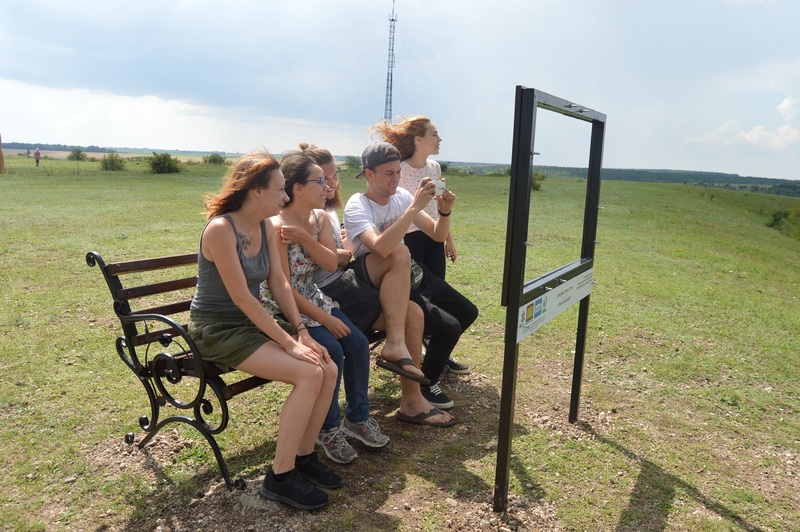 The biggest adventurers among the participants as well used the chance to visit Busha and the “Image Mapping” route of “Alive pictures” 2015, and Soroca across the Dnister River in the bordering Republic of Moldova and had a windy ride down the Stina entry slope on the truck basket. We are grateful for the best and most productive atmosphere for all the volunteers who have arrived to the camp charged for the result, dedicated to the vision of the center, to own projects and ever searching for adventures: Sabine Manhartsberger, Olka Smile, Maksym Kramar, Piotr Kujawski, Maud Vosters, Daphy Duck, Antonio Picerni, Angelina Chiriban, Katia Zayets,Masha Yuzkova, Bogdan Martynets, Niko Katzlberger, Igor Strelkov, Fabio Ossola, Iaroslav Gerashchenko, Yuriy Stepanets and Olga Nagirniak. Our Image Mapping project continues and prepares to visit many new communities where adventures, challenges and frank exchange between the volunteers and the local population await us. And this 2018 project will remain a special page in the history of the project as it is a huge luck to see people work with so much love how it was in Stina.